Location. Setting. Why is it so important to the stories we read and write? It seems obvious in some cases. In others, there could be a 'hidden' agenda. It can actually become another character. Let's take a look, first, at the importance of setting to our genre, or sub-genre. Fifty years ago, the choices were limited. Regencies and Westerns were prevalent sub-genres in the historical category, and mysteries and detective stories captivated the 'contemporary' nook. Science fiction was still relatively uncharted. But something odd happened as time went by. The lines blurred. Rosemary Rogers combined the romance of exotic places with the danger of an action plot, and an unforgettable hero in Steve Morgan that, had a man picked up 'Sweet Savage Love' and read it, he certainly could have identified with. By the same token, the male-oriented scenery accompanied by the stiff, stylized form of western writers such as Owen Wister (The Virginian) and Zane Grey (Riders of the Purple Sage, The Last Trail) gave way to Louis L'Amour (Conagher, the Sackett series) and Jack Schaefer (Shane, Monte Walsh). 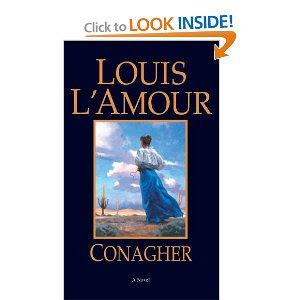 Take, for example, Louis L'Amour's 'Conagher.' As he describes the heroine's (Evie) dismal hopelessness at the land her husband (Jacob) has brought her to, we wonder how she will survive. Yet, Jacob has plans, sees the possibilities that Evie cannot, or will not see. The underlying message is, "The land is what we make of it." The land, at first her nemesis, has become not only a friend, but a soulmate. If that's not romance, I don't know what is. In your writing projects, what importance do you give setting in your description, plot, even characterization? Within 40 pages of 'Conagher', we understand that the land, with all its wild beauty and dangers has become enmeshed in Evie's character. She can't leave it, and it will never leave her. I'd love to hear from you about settings in stories that you've read or written that have played an important part. WHO WAS THE FIRST MAN TO FLY? I’ll bet you said the Wright brothers, but that’s not true. Far back in time, man has longed to soar like bird. Leonardo da Vinci left drawings of a type of flying machine. But who actually succeeded in building a machine that would carry a man into the air? According to many historians, a German immigrant living in Texas made the first recorded flight in 1865. Yep, Texas did it again. Of course, since I’m a Texan, I am proud of the state and [most of] its citizens and their accomplishments. But no matter where you live, Jacob Brodbeck deserves your admiration. Jacob Friedrich Brodbeck was born in the duchy of Württemberg on October 13, 1821. He attended a seminary in Esslingen and taught school for six years in Württemberg before sailing for Texas with his brother George on August 25, 1846. Brodbeck had always had an interest in mechanics and inventing. While still in Germany, he had attempted to build a self-winding clock. This fact is important to his later invention. He reached Fredericksburg in March 1847, became the second teacher at the Vereins Kirche, and taught at Grape Creek (later renamed Luckenbach) school and other Gillespie County schools. He became a United States citizen in 1852, and in 1858 he married Maria Christine Sophie Behrens, a former student at Grape Creek and they eventually had twelve children. 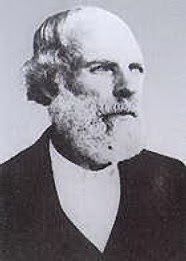 Brodbeck served as Gillespie county surveyor and district school supervisor in 1862 and was a county commissioner from 1876 to 1878. Jacob Brodbeck is best remembered, however, for his attempts at powered flight almost forty years before the famous success of Orville and Wilbur Wright. Brodbeck had always had an interest in mechanics and inventing. In 1869 he designed an ice-making machine, but that is contemporary with others working on and solving the same problem across the United States. His wife had a powered washing machine in the 1860s, using a power takeoff from the windmill. Brodbeck designed the power takeoff. I don't know about you, but in my opinion designing a washing machine is every bit as remarkable as an airplane and a lot handier for most people. He also built rubber- band powered flying toys for children. His most cherished project, however, was his flying machine, which he worked on for twenty years. In 1863 he built a small model with a rudder, wings, and a propeller powered by coiled springs. That year he also moved to San Antonio, where he became a school inspector. Encouraged by the success of his model at various local fairs, Brodbeck raised funds to build a full-sized version of his craft that would be capable of carrying a man. He persuaded a number of local men, including Dr. Ferdinand Herff of San Antonio, H. Guenther of New Braunfels and A. W. Engel of Cranes Mill, to buy shares in his project. According to author C. F. Eckhart, Brodbeck had a large, powerful clockwork motor and a series of gears. (Remember Brodbeck had tried to invent a self-winding clock?) According to descriptions, the wings were remarkably similar to modern aircraft wings. His motor didn’t develop enough power for the machine to take off on its own. Brodbeck's solution was to build a ski-jump like ramp on the side of a hill near Fredericksburg/Luckenbach. The machine was taken to the top of the ramp. As it gained speed sliding down the ramp, Brodbeck engaged the motor. The machine would nose up coming off the ramp. Sounds a bit like an amusement park ride, doesn't it? Mr. Eckhart explained that, although apparently Brodbeck’s design worked perfectly on paper, in the real world his motors didn’t work at all. Brodbeck designed two interdependent clockwork motors, one to rewind the other. When Motor A became unwound, Motor B would be engaged to rewind it. As soon as Motor A was rewound by Motor B, the pilot would manually rewind Motor B to be ready to engage it when Motor A again became unwound. There are conflicting accounts of what happened next. 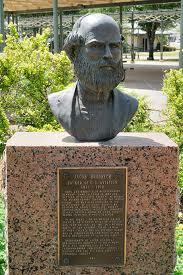 One says that Brodbeck made his first flight in a field about three miles east of Luckenbach on September 20, 1865. His airship featured an enclosed space for the pilot, a water propeller in case of accidental landings on water, a compass, and a barometer. Brodbeck had predicted speeds between 30 and 100 miles per hour. However, he was said to have risen twelve feet in the air and traveled about 100 feet before the machine crashed. Another account, however, says that the initial flight took place in San Pedro Park, San Antonio, where a bust of Brodbeck was later placed. (San Pedro Park is the second oldest park in the United States and features a spring-fed swimming pool.) Yet another account reports that the flight took place in 1868, not 1865. There were witnesses, but no one took a photo and there was no or very limited press coverage. either a large tree, chicken coop, or both? Some accounts say he crashed into a chicken coop, another that he hit a large live oak. All the accounts agree that Brodbeck's airship was destroyed by its abrupt landing, although Brodbeck escaped serious injury. To his body, that is. I'm sure his crash crushed his spirit and shattered his dreams. In fact, he was so disheartened by his failed flight that he burned his flying machine. There conflicting reports as to what happened next. Some historians say that Brodbeck never displayed any interest in his flying machine again. Mr. Eckhart believes Brodbeck was at the World’s Fair in St. Louis in 1900, carrying copies of all his drawings and specs, trying to get someone to finance building of another machine. While he was there, someone stole his papers. The crime was never solved. For those interested in early aviation and/or Texas, Rev. Burrell Cannon of Pittsburg, Texas flew his Ezekiel airship a year before the Wright brothers. Cannon got his idea for the airship from the Old Testament book of Ezekiel, which described a flying machine: "The appearance of the wheels and their work was like unto the color of beryl and...their appearance and their work was as it were a wheel in the middle of a wheel." Almost forty years after Jacob Brodbeck’s failed 1865 flight and a year after Rev. Cannon's flight, the Wright brothers flew at Kitty Hawk in 1903. They received all the acclaim, and it is they whose names appear in most history books. Ahh, but a couple of Texans flew first! Gangs of one type or another have been around since the beginning of time, pillaging, robbing and often leaving death in their wake. 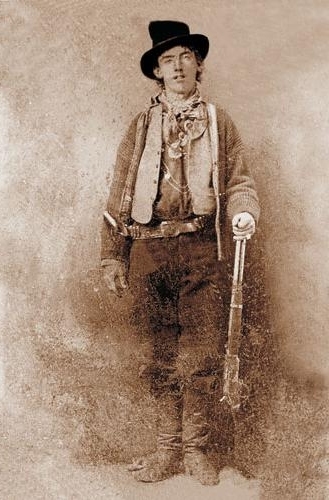 In some sense, the outlaw gangs of the old west have been romanticized—almost like Robin Hood. In fact, most of these gangs were thugs, and terrorized people with their evil behaviors, and more often than not, thought of no one but themselves. The flip side is these outlaws also had families. Some claimed they took to their outlaw ways because of misdeeds done to loved ones, and others claimed it was the only way they could feed their families. Whatever the cause may have been that led them down that road, their behaviors affected many others. Friends and family were blamed and ostracized because of their relationships with these outlaws, and had tough rows to hoe. 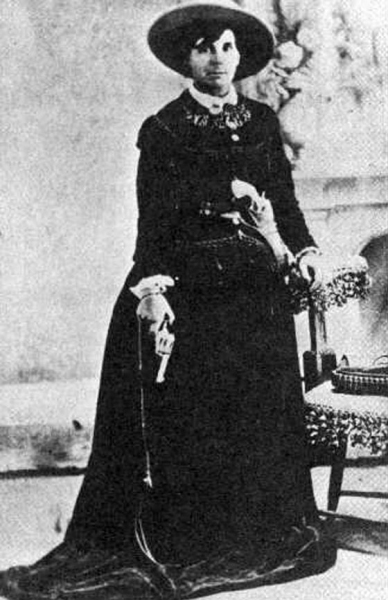 Some found that way of life exciting: It’s said Belle Starr, though well educated and from a rather prominent family, chose to lead the life she found so enticing because of her childhood friend Jesse James. Others fought to turn things around: Cole Younger sold headstones after his release from prison and eventually became a preacher, which was his occupation upon his death. 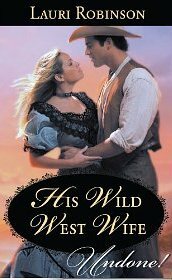 In my February 1st release, His Wild West Wife, I used the dilemma of being the daughter of an outlaw for my heroine Clara Johnson. Clara wanted nothing but to distance herself from her outlaw family, went so far as to turn her father in, but not even traveling across the country could erase her past. 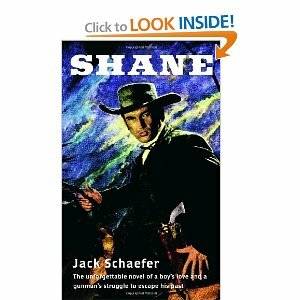 Hero Blake Barlow has his own demons to bury, though his mother wasn’t an outlaw in the sense of the word, she was a brothel owner, and he, too, had spent years covering up his past. Chicago lawyer Blake Barlow has tracked his runaway wife all the way to the middle of nowhere. If she wants a divorce, he'll grant her one—as soon as she tells him why she left. 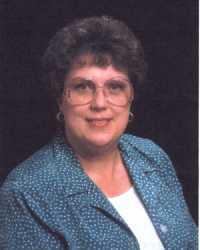 Clara Johnson is angry. Blake betrayed her mere weeks after exchanging vows—but when he rides up to her family farm, it's to get her signature, not to beg for forgiveness. 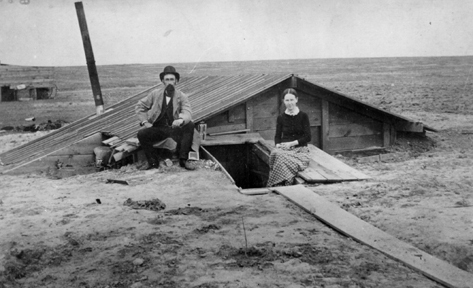 Unbelievable as it might seem, some pioneer settlers liked living in dugouts. Letters and diaries of pioneers recorded that these dwellings were surprisingly comfortable; cool in summer, snug and easily heated in winter. Thick walls and sod roofs supplied good insulation at a time when few people knew the value of insulated homes, and wooden houses lacked in this feature. Most dugouts consisted of a single room (average 12’ x 12’) dug into the lee side of a low hill. 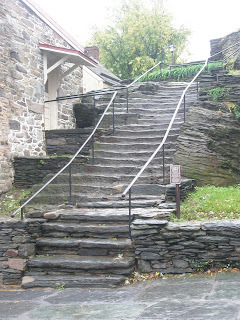 Walls were created by cutting and stacking sod blocks to a height of seven or eight feet. Some dugouts had windows, usually store-bought and hauled from the nearest town. For a roof, cottonwood poles were placed side by side and spread with a thick layer of coarse prairie grass for insulation and to cut down on the dirt that sifted through. Over the grass a double layer of sod building blocks was carefully fitted. The first good rain prompted the sod to grow, and a tall growth of waving prairie grass soon covered the roof, almost concealing it. Rough wooden planks were laid to provide flooring, if the family could afford to buy them. Otherwise, the floor was dirt sprinkled with water daily and swept with crude grass brooms until the surface was as hard and smooth as finished concrete. Walls were lined with newspapers pasted or pinned up with small, sharpened sticks to keep the, dirt from brushing off. Some more ambitious families located outcroppings of limestone rock which was burned and mixed with screened sand to provide a plaster coating for the walls—a vast improvement over untreated walls that could not keep out all the dirt, or insects. Unfortunately, the pioneer dugout couldn't stand up to the demands of prosperity. The fertile prairie sod—turned over in the fall and broken down to mellow richness by winter snows, freezing and thawing—produced bumper crops of corn and small grains. Once a pioneer family had money in the bank, construction of a clap board house became the major goal. Grandma couldn't wait to get her family out of "that hole in the ground" and into a “more suitable” uninsulated clapboard structure: A house that was stifling hot in the summer and poorly heated in the winter by buffalo chips in the kitchen range or costly store bought coal that had to be hauled from town, carefully hoarded and sparingly doled out. Money provided the means to build wooden houses, but it was the desire to improve the family’s status and supposed living conditions that was the driving force that ultimately destroyed the dugout. Most lasted little more than a decade, but a few pictures still exist, and memories and journals provide records of the dugout's comforts and advantages. Of course the disadvantages were also recorded. 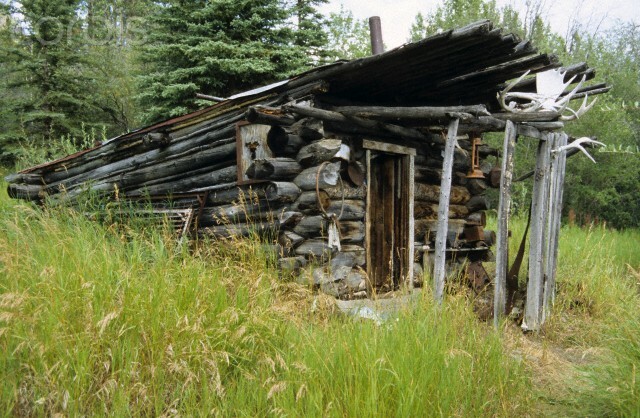 It might be pointed out that dugouts were the first homes of many homesteaders well into the twentieth century. My paternal grandparents moved from Kansas to the Oklahoma panhandle in 1916 and lived in a dugout until a house could be built. I’m not sure when my mother’s folks did the same thing, but it would have been a bit later. Mother was the eldest of twelve children. 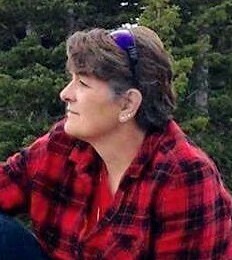 Her father was a great farm worker and was in much demand by other farmers. Unfortunately, Grandfather didn’t want to work for other people; he wanted to farm his own land. But without someone to tell him what to do and when, he couldn’t quite seem to succeed at farming. 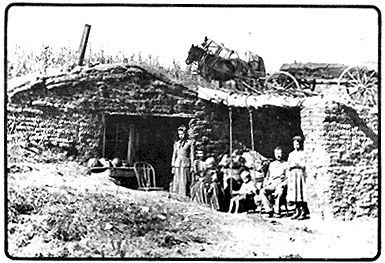 Poor living conditions and sparse food was the result, so the family frequently lived with other family members or inhabited abandoned homes. Many of these homes were dugouts. Mother told me numerous tales of life in such dwellings and didn’t seem nearly as enamored of them as some pioneers. I used a few of these in my book To Have And To Hold, which will be released in e-book format on January 24th. One has to do with 7” long centipedes that managed to find their way down onto the newspaper Grandmother tacked onto the ceiling to keep out some of the dirt. The sound of their feet scratching on the paper drove Grandfather crazy. Mother’s complaint, besides the dirt, was snakes. She hated it when her mother asked her to fetch wood from the wood box because too often a resident rattler would be hiding inside. Of course, snakes liked nice warm beds too, and the pallets laid on the floor where the children slept were very convenient. Frankly, I’m glad it was my mother and not me who had these experiences. Have any of you heard any similar stories from your grandparents or great-grandparents? 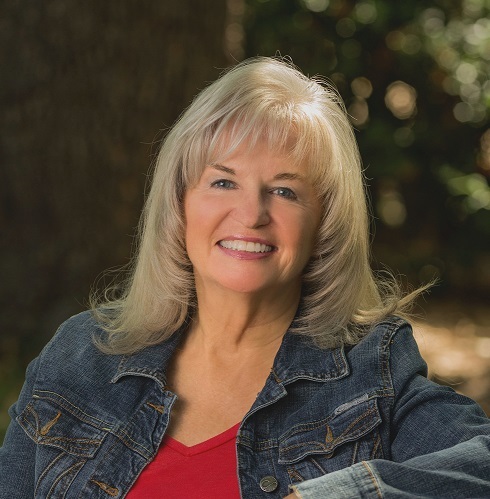 Be sure to leave a comment, and include your contact information, for a chance to win a $5 Amazon gift card and a free copy of To Have And To Hold. 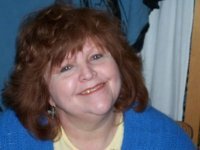 Charlene first serious writing attempt came in 1980 when she awoke one morning from an unusually vivid and compelling dream. Deciding that dream needed to be made into a book, she dug out an old portable typewriter and went to work. 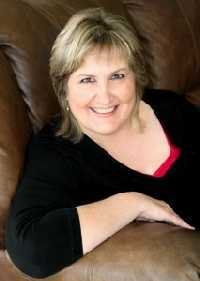 That book never sold, but her second one, Tender Touch, became a Golden Heart finalist and earned her an agent. 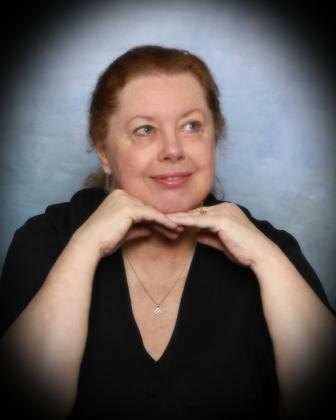 Soon after, she signed a three book contract with Kensington Books. 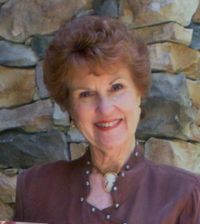 Five of Charlene's western historical romances were published between 1994 and 1999: Taming Jenna, Tender Touch (1994 Golden Heart Finalist under the title Brianna), Forever Mine (1996 Romantic Times Magazine Reviewer's Choice Award Nominee and Affaire de Coeur Reader/Writer Poll finalist), To Have and To Hold (Affaire de Coeur Reader/Writer Poll finalist); and writing as Rachel Summers, The Scent of Roses. Forever Mine and Tender Touch are available as e-books and after January 24, To Have and To Hold will be as well. 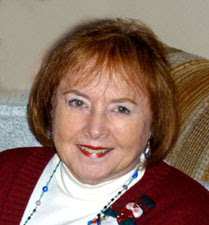 When not writing, Charlene loves to travel, crochet, needlepoint, research genealogy, scrapbook, and dye Ukrainian eggs. A large portion of my current WIP, Dearest Druid, takes place on the Kiowa-Comanche-Apache reservation in Indian Territory (Oklahoma) ca. 1876. A lot of my research for this project focused on the Kiowa Indians, a small part of which I’ll share with you here. I hope y’all find their story as interesting as I do. Kiowa myth tells of a creator being who summoned their ancestors into the world from a hollow cottonwood log. They emerged one by one until a pregnant woman got stuck in the log, preventing any others from getting out. Fanciful perhaps, but this may be the Kiowa way of explaining why their numbers were so few compared to the Comanches and other tribes. During the 18th and 19th centuries, the Kiowa Indians were one of the preeminent horse tribes of the southern Great Plains. Together with their Comanche and Kiowa-Apache allies, they held off white settlers and the frontier Army for decades. However, they were not always among the world’s greatest mounted warriors. Once, they were hunter-gatherers living in the northern Rockies, who had never laid eyes on a horse. Long before that, they may have dwelled in the desert southwest. The Kiowas speak a language called Tanoan or Kiowa-Tanoan. Tanoan is also spoken by many of the Pueblo Indians in New Mexico, proving the two peoples were linked in the distant past. Yet, Kiowas trace their earliest known location to the headwaters of the Yellowstone and Missouri rivers in western Montana. In the late 1890s, tribal elders still remembered northern tribes such as the Blackfeet, Arapaho Gros Ventres and Shoshonis. How the Kiowas came to be in the far north remains a mystery. One theory is that they split off from their Pueblo roots and migrated northward to colder climes, only to reverse direction and return south eventually. While living in the northern mountains, the Kiowas depended on dogs to pull travois and possibly sleds. They mainly hunted small game. According to legend, the tribe split over a dispute, one faction heading northwest (where to, no one knows) while the others moved southeastward across the Yellowstone. This group, destined to become the Kiowa tribe of recorded history, met and grew friendly with the Crow Indians, settling east of them in the Black Hills. The Crows apparently taught the Kiowas about life on the plains and intermarried with them, passing on cultural traditions. Around 1765, the Kiowa obtained the “Tai-me,” a powerful fetish incorporated in the annual Sun Dance ceremony. They acquired horses, hunted buffalo and lived in hide tipis like other plains tribes. They carried personal medicine bundles and belonged to societies within the tribe. Elite among the men’s groups was the Koitsenko soldier society. Young boys started out as “Rabbits.” Girls and women also had their own special groups. Among them were the Old Women society and the exclusive Bear society, with only ten or eleven members. The Kiowas were forced from the Black Hills by the Dakota Sioux as that tribe pushed westward. South of the Kiowa lived the Comanches, who were in turn forced southward. They had acquired horses early on and ranged deep into Mexico on their raids. As early as the 1730s, the Kiowa had also become superb horsemen and were raiding Spanish settlements. Many of us remember the animated Disney movie about Johnny Appleseed. He was the legendary guy who went into the west spreading apple seeds. But did you know he was a real person and he was also spreading seeds of faith? Yep, Johnny Appleseed is not just a fictional character from myth and legend; he was a genuine, actual person. His name was John Chapman, a minister, gardener and pioneer who traveled the territories around the Great Lakes in the states we now know as Illinois, Indiana and Ohio. He was born September 26, 1774 in Leominster, Massachusetts and died March 18, 1845 in Fort Wayne, Indiana at the age of 70. His father, Nathaniel, fought at Concord as a Minuteman in April 19, 1775 and later served in the Continental Army under General George Washington during the American Revolutionary War. After Nathaniel’s wife died giving birth to John’s younger brother, he married a woman named Lucy Cooley after he left the service in 1780. Okay, Johnny Appleseed didn’t actually toss out apple seeds everywhere he went, but he did clear plots of wilderness where he planted and fenced orchards. He introduced apple orchards to a large portion of Pennsylvania, Ohio, Indiana, Illinois and what is now West Virginia. Along with his apple trees, he spread the word of God from the Swedenborgian Church. He became a legend while he was still alive because of his kindness, generosity and his leadership in conservation. He also placed great symbolic significance to apples. Some accounts state that at the age of eighteen, Johnny persuaded her eleven year old half-brother, Nathanial to go west with him in 1792. Apparently, they led a nomadic life until their father moved west with that huge family of ten children in 1805 and joined them. It is supposed that John’s half-brother most likely stayed with his father to help him farm the land. It was John’s father who taught him gardening and apprenticed him to a Mr. Crawford, who owned apple trees. That was where John learned to become an orchardist. Reportedly, witnesses saw John Chapman practicing his nurseryman craft around Wilkes-Barre and picking seeds near the Potomac cider mills in the late 1790’s. 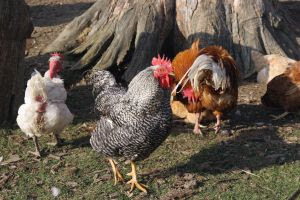 John didn’t just plant random apple seeds, he planted entire orchards, fenced them in to keep out livestock and, when he moved on, left the orchards in the care of his neighbors who sold the trees in shares and returned every year or two to tend the nurseries. Although apples grown from seeds are rather tart, they were popular for making hard cider and applejack. In pioneer days, law required the planting of orchards of apples or pears on new land to qualify for permanent ownership so Johnny’s apple orchards certainly served a nice benefit in that regard. John Chapman taught the Swedenborgian Gospel wherever he went and told children stories while he gave them and their parents a floor to sleep on overnight and a free supper. A woman who knew him in his later years once said, "We can hear him read now, just as he did that summer day, when we were busy quilting upstairs, and he lay near the door, his voice rising denunciatory and thrillin’—strong and loud as the roar of wind and waves, then soft and soothing as the balmy airs that quivered the morning-glory leaves about his gray beard. His was a strange eloquence at times, and he was undoubtedly a man of genius." He also shared the word of God with Native Americans whom he admired as he traveled and they regarded him as a man touched by the Great Spirit. It is said that even hostile tribes left him untouched out of respect. John Chapman respected the Native Americans and once wrote, "I have traveled more than 4,000 miles about this country, and I have never met with one single insolent Native American.” The Swedenborg religion declares that the more one endures on this Earth, the greater one’s happiness in the Hereafter. It is reported that Johnny endured great privations during his lifetime. He went barefoot even in the worst weather, wore old discarded clothing and often deprived himself of common necessities even though he owned a great deal of property. He did all this with cheerfulness and contentment. There are stories about Johnny Appleseed’s love of animals including insects. One of them is how John noticed one night by his campfire; the mosquitoes flew into the fire and burned. He got up, picked up the cooking pot he usually wore on his head (yes, he actually did wear a pot on his head), filled it with water and doused the fire to save the mosquitoes. Let me just say right here that I might not have that much love for those pesky mosquitoes—just sayin’. He later remarked, “God forbid that I should build a fire for my comfort that should be the means of destroying any of his creatures.” In another story, he was about to build a campfire at the end of a log in the middle of winter to keep warm for the night. He discovered a mama bear and her cubs hibernating there and, rather than disturb them, he slept at the other end of the log on top of the snow. When he learned that an injured horse was about to be put down, he bought the horse and turned it out to recuperate on a few acres of grassy land that he bought for that purpose. After the horse regained its health, John gave the horse and the land to a person in need asking only a promise that the person would treat the horse humanely as payment. John, by the way, spent his life as a vegetarian. 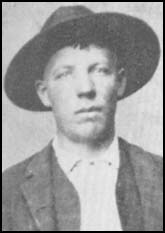 Although Johnny was a native of Pennsylvania, he spent the greater portion of his life around Cleveland where he has relatives living to this day. There is some controversy about where Johnny is buried. Some say he is buried near the Worth cabin where he died in Fort Wayne, Indiana, but Steven Fortriede, director of the Allen County Public Library and author of the 1978 Johnny Appleseed, believes Johnny’s gravesite is in Johnny Appleseed Park in Fort Wayne. The Johnny Appleseed Park in Fort Wayne, Indiana is adjacent to Archer Park. It is Archer Park where John Chapman’s grave marker sits. John H. Archer, grandson of David Archer, wrote in a letter dated October 4, 1900 that John Chapman’s burial was witnessed by many of his neighbors to have been in the Archer family cemetery and that he was surrounded in death by his neighbors and friends there. The Johnny Appleseed Commission to the Common Council of the City of Fort Wayne reported, "As a part of the celebration of Indiana's 100th birthday in 1916 an iron fence was placed in the Archer graveyard by the Horticulture Society of Indiana setting off the grave of Johnny Appleseed. At that time, there were men living who had attended the funeral of Johnny Appleseed. Direct and accurate evidence was available then. There was little or no reason for them to make a mistake about the location of this grave. They located the grave in the Archer burying ground." Johnny Appleseed left 1,200 acres of orchards to his sister. Some of his vast estate was lost due to the lack of deeds, some land was sold for taxes and the panic of 1837also took a toll on his land. A memorial in Fort Wayne's Swinney Park honors him but does not mark his grave. Also in Fort Wayne, the Johnny Appleseed Festival is held the third full weekend in September in Johnny Appleseed Park and Archer Park. Musicians, demonstrators, and vendors dress in early 19th century attire, with food and beverages from Johnny’s time period. In 2008, the Fort Wayne Wizards, a minor league baseball club, changed their name to the Fort Wayne TinCaps in reference to Johnny Appleseed’s tin pot he used for a hat. In that same year, the Tincaps won their only league championship. Their team mascot is also named "Johnny". From 1962 to 1980, a high school athletic league made up of schools from around the Mansfield, Ohio, area was named the Johnny Appleseed Conference. An outdoor drama is also an annual event in Mansfield, Ohio. A memorial in Spring Grove Cemetery in Cincinnati, OH is located on the summit of the grounds in Section 1349. A circular garden surrounds a large stone upon which a bronze statue of Chapman stands with his face looking skywards, holding an apple seedling tree in one hand and book in the other. A bronze cenotaph identifies him as Johnny Appleseed with a brief biography and eulogy. March 11 or September 26 is sometimes celebrated as Johnny Appleseed Day. The September date is Appleseed's acknowledged birth date, but the March date is sometimes preferred because it is during planting season. A large terra cotta sculpture of Johnny Appleseed, created by Viktor Schreckengost, decorates the front of the Lakewood High School Civic Auditorium in Lakewood, Ohio. Although the local Board of Education deemed Appleseed too "eccentric" a figure to grace the front of the building, renaming the sculpture simply "Early Settler", students, teachers, and parents alike still call the sculpture by its intended name: "Johnny Appleseed". Urbana University, located in Urbana, OH, maintains the world's only Johnny Appleseed Museum, which is open to the public. The museum contains a number of artifacts, including a tree that is believed to have been planted by Johnny Appleseed. In addition, the museum is also home to a large number of historical memorabilia, the largest in the world. They also provide a number of services for research, including a national registry of Johnny Appleseed's relatives. In 2011 the museum was renovated and updated and is now able to hold more memorabilia in a modern museum setting. In the Disney movie that included the story of Johnny Appleseed, he is remembered in American popular culture by his traveling song or Swedenborgian hymn ("The Lord is good to me..."), which is today sung before meals in some American households. There are many more memorials, festivals and references to Johnny Appleseed including a play written in my home state of North Carolina. I am heartened to learn that Johnny Appleseed was a real person and that the real person, John Chapman, spread love and gifts along the way and that he was a hero of sorts without a gun or shoes. I wonder if such a spirit exists in someone today that might live on into the future. I sure hope so. 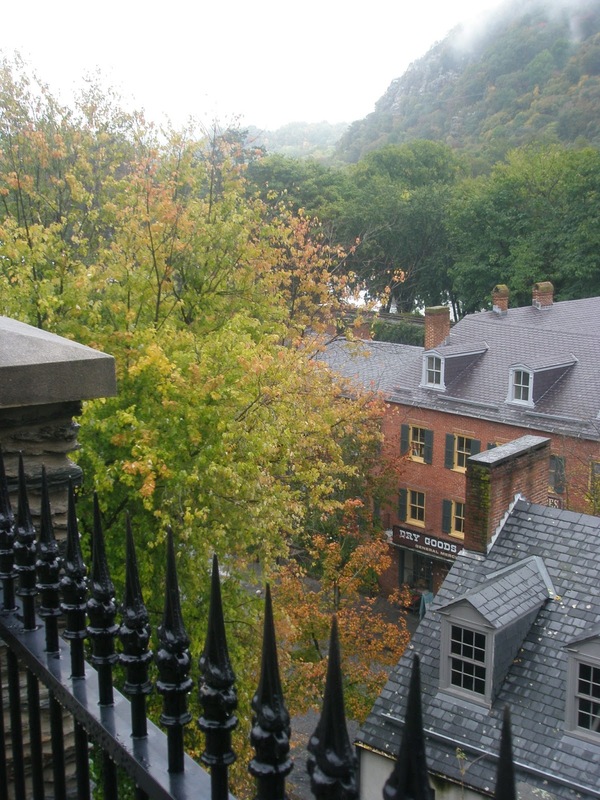 Harper’s Ferry is a place of confluence....where the Shenandoah and Potomac Rivers meet, as well as the states of West Virginia, Maryland, and Virginia. 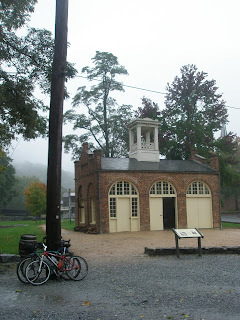 We had the amazing privilege to visit this “hidden treasure” while on a tour of the East Coast a while back and enjoyed a picture-perfect yet drizzly day in the place best known for John Brown, the abolitionist, and his raid upon the armory in 1859. We ate our picnic lunch in the armory’s fire engine and guardhouse, all that’s left of the original establishment. 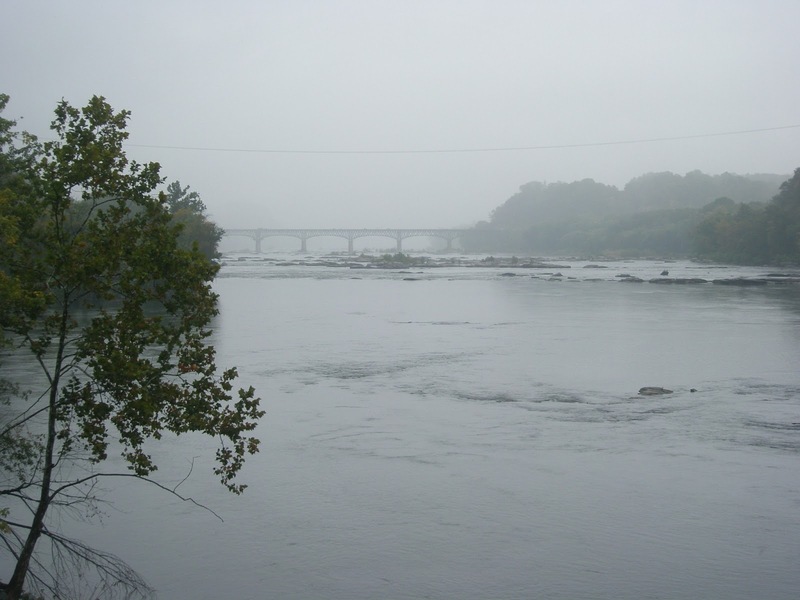 In 1761, a colonist named Robert Harper started up a ferry across the Potomac in this spot, making the town a starting point for settlers moving into the Shenandoah Valley. 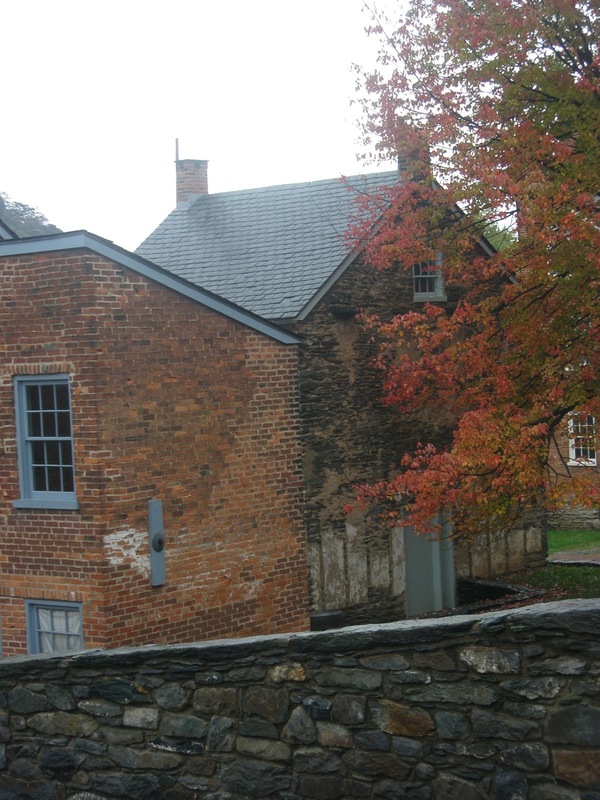 The town’s importance increased when the armory was commissioned in then-state Virginia, about 1799. It was only the second U.S. armory and in fact, was both armory and arsenal --an arsenal being the place for storage and production of large arms such as cannons and howitzers. An armory mostly manufactures and stores small caliber rifles and carbines. The first military arms started production about three years later. The armory helped transform the town into an industrial powerhouse for sixty years, from 1801 to its destruction in 1861 to prevent its capture during the Civil War. During these years the armory produced more than 600,000 firearms including the first breech-loaded rifle adopted by the army. Progress continued when the railroad reached Harpers Ferry in 1833, providing a link to Washington D.C.
Back to Mr. Brown (1800-1859). His raid on this armory electrified the nation, got him tried for treason against the Commonwealth of Virginia (where some proclaimed him a hero) and executed on December 2. Although Abolition was a hot topic in the mid 1800’s, most Northerners supported peaceful resistance to their Southern fellowmen who were pro-slavery. 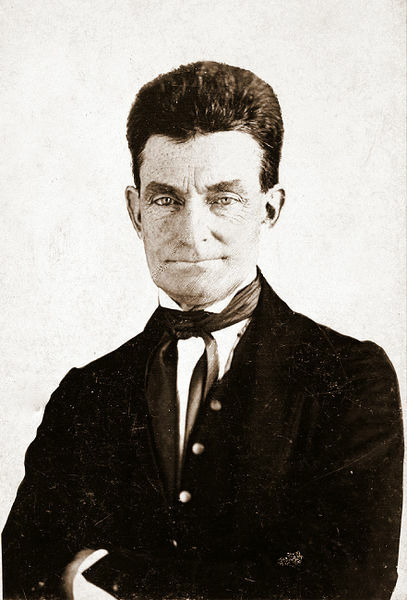 John Brown, however, demanded violent action against slavery. He claimed he was the instrument of God’s wrath” in punishing slave owners for their sin of owning other human beings. Under the name Isaac Smith, and with a small band of men with minimal military training (supposedly 16 white men, 3 free blacks, 1 freed slave and 1 fugitive slave) he attempted to seize the armory and use the weapons to arm slaves. However, his attack on October 16, 1859 failed. Seven people were killed, ten more injured. Thirty six hours later, his men had run off or been killed and captured by pro-slave farmers, militia, and U.S. Marines led by Robert E. Lee. Historians agree that Brown’s raid played a major role in the state of the Civil War. The armory supplied arms to Virginia until its secession and remained a strategic site for its place on the Potomac as well as proximity to the Mason Dixon Line. Today the site of the armory is mostly railroad embankments. The building that survives was the armory’s fire engine guardhouse. The town itself is beautiful. From the commanding location of St. Peter’s Roman Catholic Church in the hills above Harpers Ferry, one can see forever, it seems. 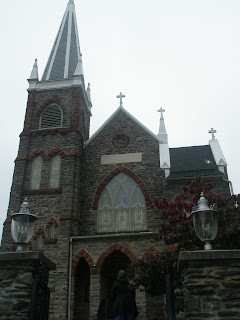 The original 1833 church is the only church in Harpers Ferry to escape the Civil War, but it was remodeled in the 1890’s into the Neo-Gothic style popular at the time. It was a great day in Harpers Ferry with its combination of history and beauty. Even if I'm not one much for stairs! I was given a great book by my sister for Christmas – COWBOY LINGO by Ramon F. Adams. This author’s name is familiar to me, so I think I have another book by him, but I haven’t gone to look on my shelf of western books to see if I do. COWBOY LINGO is “a dictionary of the slack-jaw words and whangdoodle ways of the American West.” It’s not your usual dictionary, as this book spends a whole chapter describing things. I choose one of the shorter chapters’ (only 11 pages long) – Ropes and Roping. I have learned more about ropes than I ever thought I needed to know. 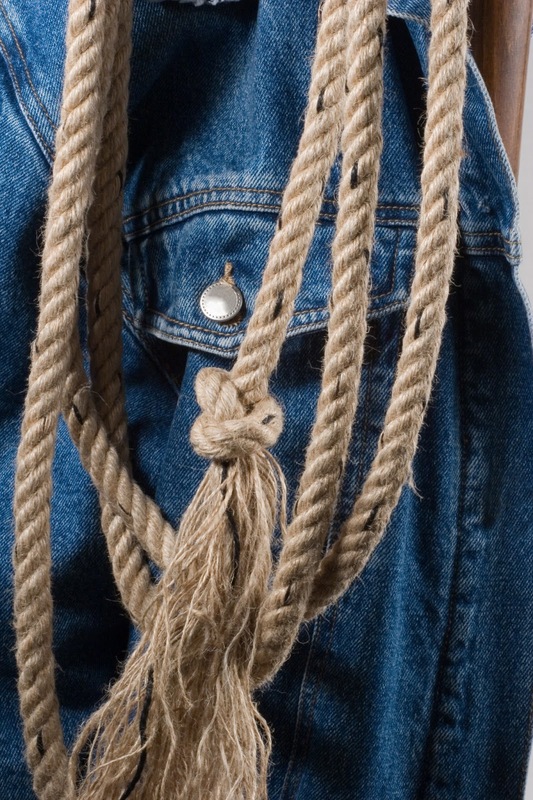 Adams says “The rope is so essential to cattle work that without it there would have been no cowboys.” A rope was an extension of the cowboy himself. Almost any man could easily learn to ride, or ‘bulldog’ a steer, but learning to work a rope was very hard to attain. It took years of practice to master this appendage of a true cowboy. 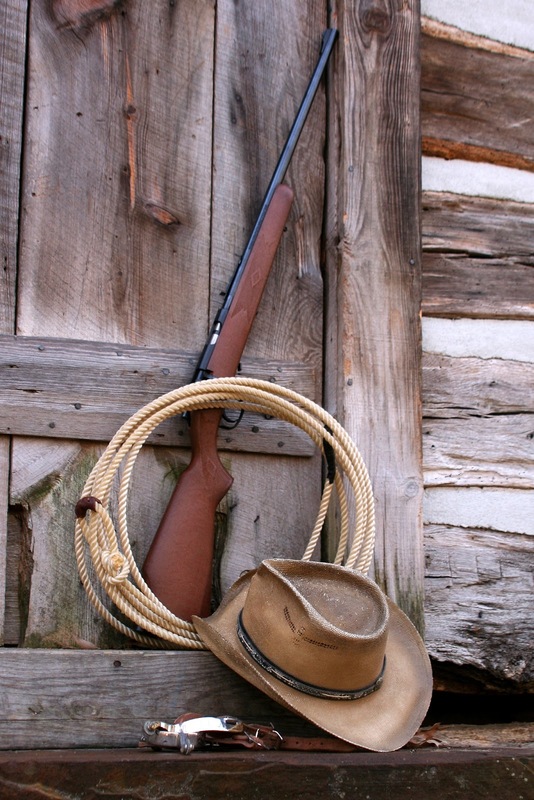 Ropes were not made of the same material in different parts of the country and the material is what gave different names to a cowboy’s rope. 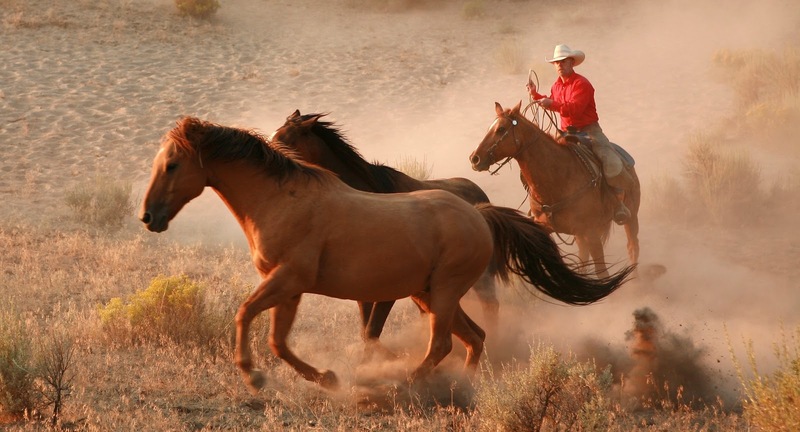 “In California, Nevada and eastern Oregon, the sixty-foot rawhide reata is still in use. In Texas, the rawhide rope has practically disappeared, replaced by a thirty-five-foot length of ‘manila,’ mostly of softer fiber and looser twist than is used in other states.” One splendid rope is the Mexican maguey (pronounced McGay). It is made from the fiber of a century plant. However, it is an extremely stiff rope, so ropers don’t care for it. The thickness of the rope also depended on its duty. Seven-sixteenths hard twist pure manila would be used for steer-roping and other heavy work. For light work, three-eighths manila or cotton or Mexican maguey were preferred. However, a new rope is of no use at all. A rope had to be seasoned, stretched or suppled and the loop knot pulled down. A new rope might be drawn over a fire or torch to burn off the whiskers. Once it was stretched, “they became a thing of life in the hands of a ‘smooth’ roper.’” He could make it ‘sing,’ meaning it would make a ‘hissing’ sound as the loop was thrown. 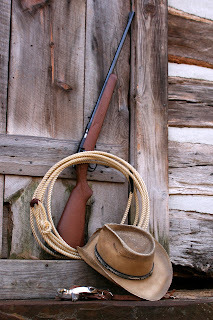 Easterners liked to think a rope had many exotic names: lasso, lariat or reata, but cowboys called it a rope, though they did use slang names, such as “ ‘lines,’ ‘clothes lines,’ ‘string’ ‘hemp,’ ‘manila,’ ‘whale line,’ ‘lass rope,’ ‘twine,’ ‘cat-gut,’ and many others.” A lariat was sometimes called a ‘ketch-rope’ to distinguish it from other ropes. Adams tells us, “The knotted or spliced eyelet at the business end of a rope for making a loop was called the ‘honda.’” This Spanish term refers to a “receptacle in a sling for holding a stone or other article to be thrown.” Experienced ropers preferred to make their own honda because the bone or metal used in a manufactured one could injury an animal. Wow, this is from just the first few pages of this chapter! I can see that I’ll be referring to COWBOY LINGO for my blogs often in the future. I hope you learned a few things. I know I did!